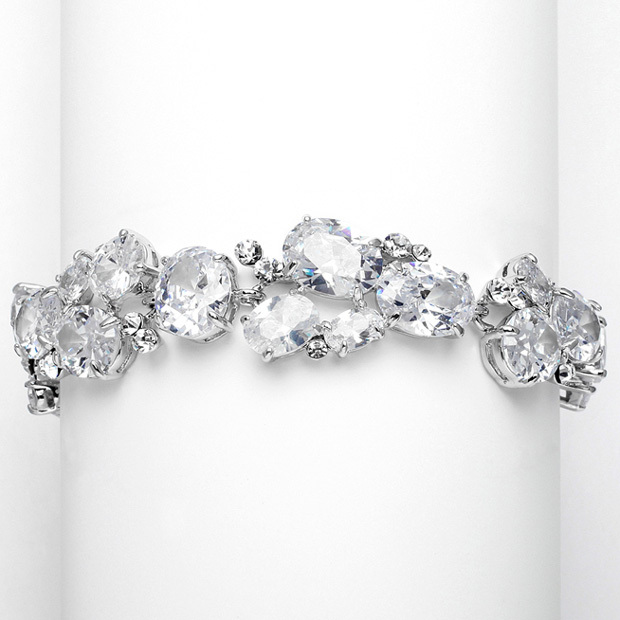 * This exquisite Mariell bridal bracelet is as versatile as it is gorgeous. * Mariell's exquisite 7" wholesale bridal bracelet is 5/8" w with mixed shapes of Cubic Zirconia stones so it can coordinate with other CZ jewelry. * This bracelet is a true show-stopper and your customers won't be able to resist this breathtaking wholesale rhodium bracelet for their weddings, black tie affairs, galas or society events.